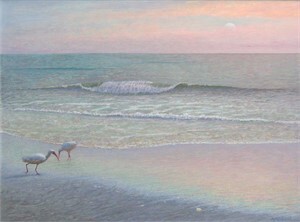 The original fine art paintings by Florida native Daniel Ambrose capture the environmental treasures unique to the South. Ambrose paints from the heart, drawing upon the things that are closest to him. Extensive travels throughout the United States have given him an appreciation for the rare beauty that only eastern coastland holds. Sublime atmospheric landscapes illuminated in the clear southern light, the aging elegance of homes weathered by decades under the southern sun, and the intricate forms of endangered wildlife are preserved on his canvas for generations to enjoy. 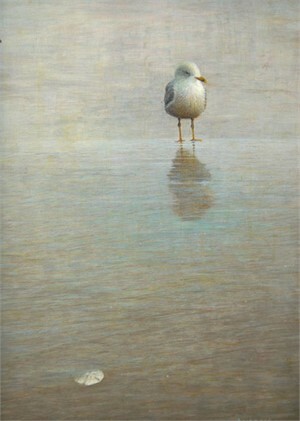 Working in the rich tradition of the egg tempera medium has allowed his work to take on a quality few artists of today have been able to achieve. The historic medium, used and perfected by the Old Masters centuries ago, combines dry powdered pigments from the earth with the rich consistency of egg yolks to create luminous hues. The richness of these natural colors allow Ambrose to capture the beautiful warm light inherent in his subjects in the same way Rembrandt used light to show intricacies of the human form. 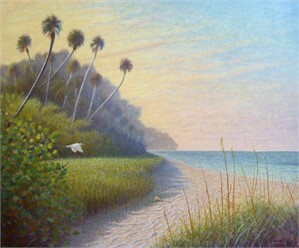 The combination of pure elements provides a perfect medium with which to capture Florida's historic and fleeting beauty. 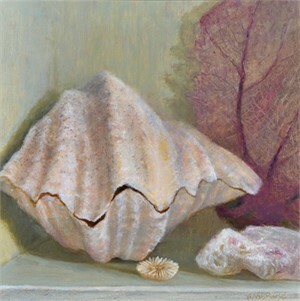 Ambrose is a current member of the American Society for Marine Artists. He has won the acclaim of judges and collectors as well as many awards of excellence and distinction for his work in this medium. 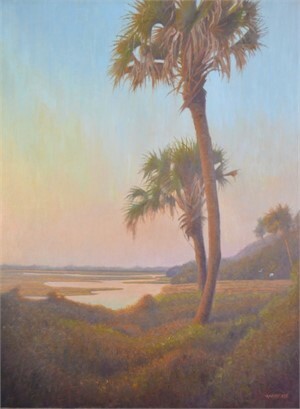 Museum of Arts and Sciences, Executive Director Emeritus, Gary Libby states "Daniel Ambrose is a self taught representational artist who paints the vanishing coastal environments of Florida in richly painted egg tempera works of great mood and atmosphere." One of the few artists invited to join the prestigious Florida Artist Group, Ambrose's museum quality paintings are sought after and collected by corporate and private collectors throughout the US and Canada. In Florida his works can be found among the public collections of the City of Orlando, The Museum of Arts and Science's Permanent Collection, the Volusia County Judicial Center and the Daytona Beach International Airport. 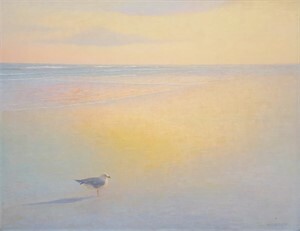 Ambrose's intimate association with his subject, entice him to capture not only the beauty and intrigue of Florida, but the true essence of Florida herself, a legacy of images that may only endure in his paintings. Daniel Ambrose's Moon Dreams recalls the American Luminist painters of the mid 19th century, who attempted to capture dramatic or mysterious lighting effects for awe-inspiring impact. – James J. Murphy / Plein Air to Post Modern, Curator.